Tired of the nearly 10 mile horse and buggy ride to Robert’s Presbyterian Church, Mrs. Elizabeth Whitner put her foot down! She compelled her husband, Judge Joseph Whitner, to deed 3 ¾ acres of land for the purpose of building a Presbyterian church within the small village of Anderson, SC. 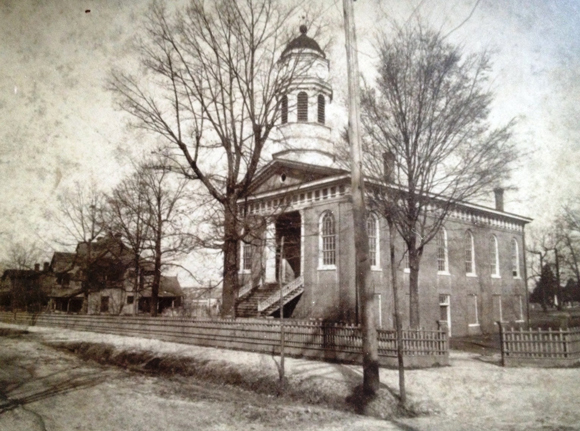 Thirteen charter members organized the “Anderson Court House Presbyterian Church.” At that time, Anderson had approximately 200 residents. There were 26 states and only about 15 million people in the nation. Martin Van Buren was president, and “My Country Tis of Thee” was a new song. In 1882, the two-story, red brick sanctuary was completed that we still use today. We thank God for 175 years of faithful ministry in Anderson, and seeking to serve God in the future, have renewed our commitment to ministries of believing, loving and serving.